Riese & Muller Roadster Mixte GT Urban is bristling with beautiful design features, the Roadster Mixte GT urban is designed for consistent riding fun. The Bosch Active Plus motor provides perfect assistance at all times. The Shimano Alfine Di2 11-speed hub gear with coasting and the Gates belt drive deliver maximum comfort. With the hydraulic Magura MT4 disc brakes, you’ll come to a stop in good time every time. Wide Schwalbe Almotion tires deliver optimum riding characteristics on any terrain. 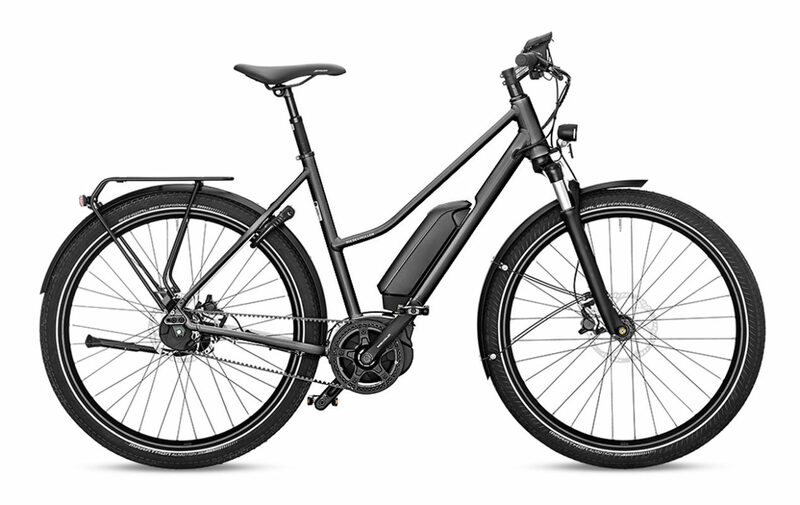 Motor: The Riese & Muller Roadster Mixte GT Urban equipped with Bosch Active plus, with pedal assistance of up to 250 %, the particularly quiet Active Plus drive is perfect for city trips. With its low-profile design, it fits inconspicuously onto the frame. 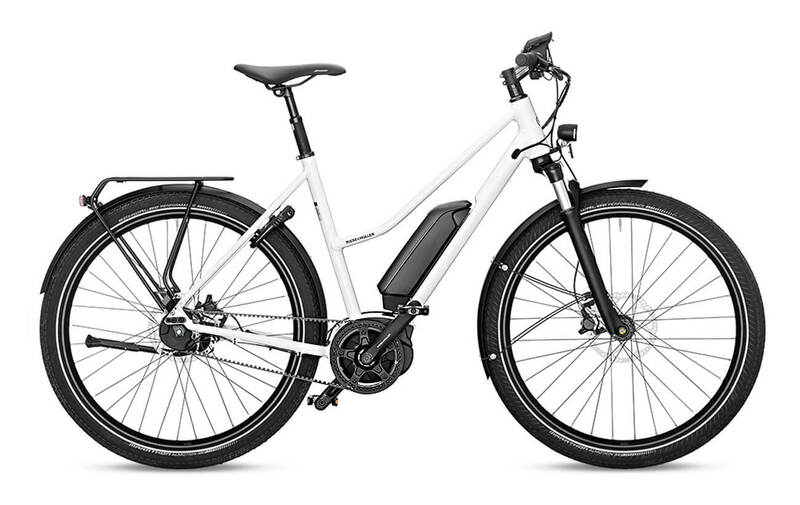 At only 3.2 kg, it is also the lightest Bosch motor that Riese & Müller fit on their bikes. The torque of up to 50 Nm ensures a harmonious, agile acceleration. 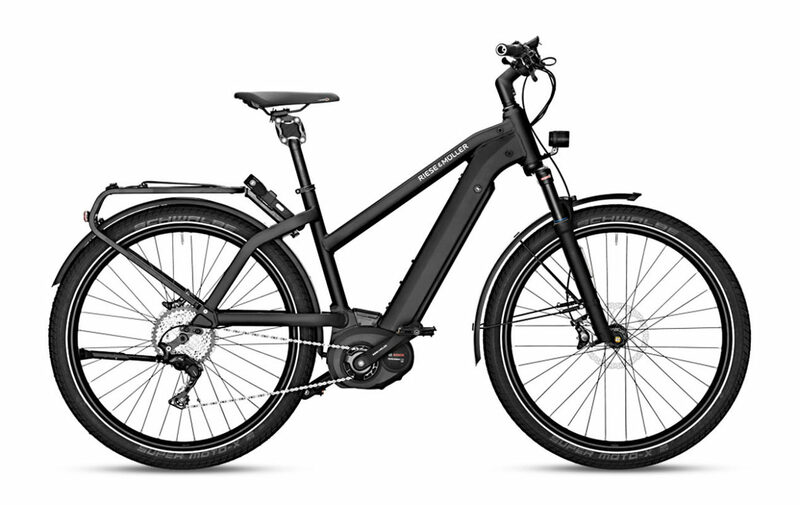 A balanced ride feel, motor coasting and no pedal resistance at more than 20 mp/h make every trip an experience. Brakes: The Riese & Muller Roadster Mixte GT Urban is equipped with Magura MT4, disc brakes. They provide very reliable stopping power, these brakes are low-maintenance and easy to control. 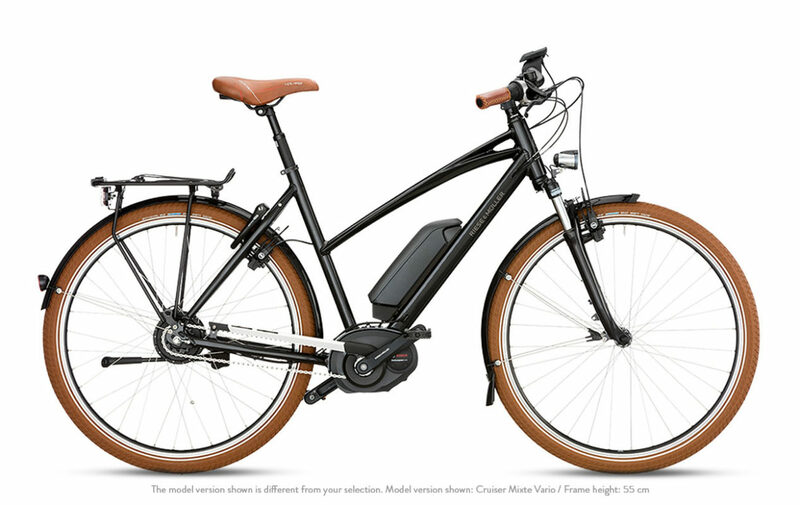 Top Speed: The Riese & Muller Roadster Mixte GT Urban gives you an ample speed at speeds up to 20 mph. If you like speed, click here fast electric bikes. Accessories: This bike comes with Busch & Müller Lumotec IQ-XS Front light and Busch & Müller Toplight 2C LED Tail light, it also comes with Pletscher Comp 40 Flex Kickstand, and a Billy Bell. Our team has a lot of experience outfitting bikes with additional accessories, so be sure to reach out to us if there’s anything you may need.